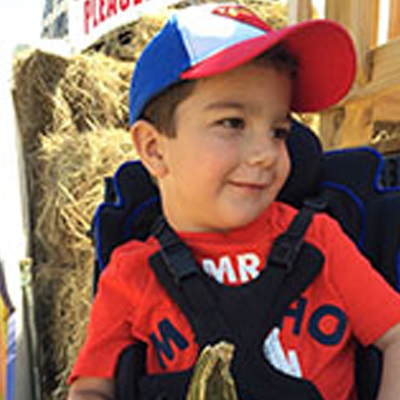 Kaden was born with a heart defect that required 3 surgeries to correct. During his final open heart surgery, he had an air embolism that went to his brain, causing global brain damage. Team Luke Hope For Minds purchased Kaden a special needs stroller.